Concrete masonry retaining walls are easily the most attractive and longest-lasting solution for both new and replacement retaining wall projects. The main reason people choose a concrete masonry retaining wall over other retaining walls is the limitless options from which one may choose. 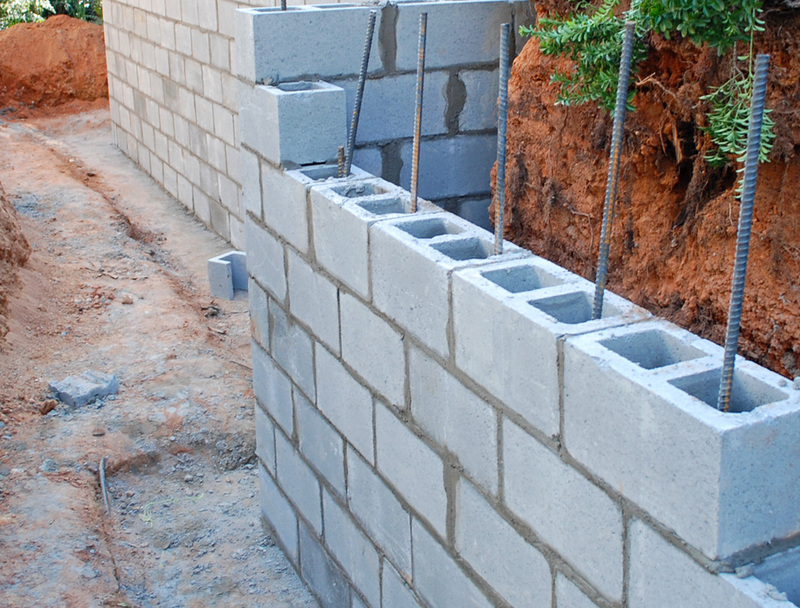 So, if the retaining wall will be visible, a concrete masonry retaining wall is the right choice for you. For example, you can match a concrete masonry wall to the exterior of other structures like a home or office building, or choose from brick, stone or colored stucco in any pattern you like. Plus, unlike other building materials, you can clean and maintain the concrete masonry retaining wall. Concrete masonry retaining walls derive their durability and strength by incorporating a poured concrete footing with steel rebar reinforcement poles that connect the wall’s main structure to the top of the wall. 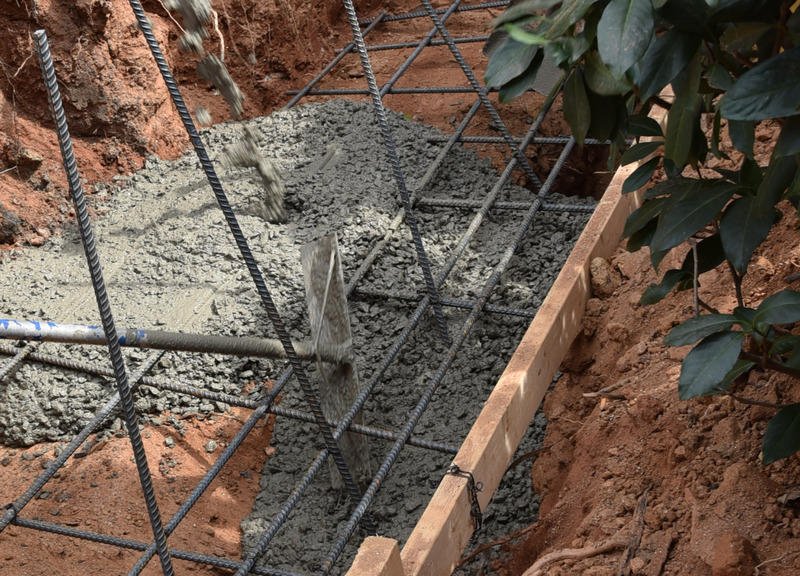 Concrete is poured through the block cells with the rebar poles to secure the vertical wall to the horizontal footer which creates a solid retaining wall. Once these steps are complete and have passed inspection by the county or city engineer, work to the surface of the wall can begin. 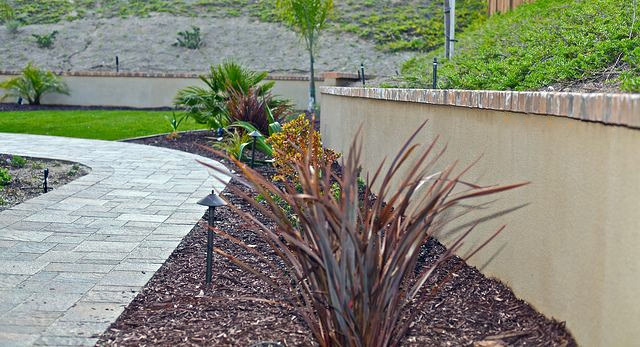 Be sure to get at least three quotes by reputable retaining wall companies. Verify each has been building retaining walls for at least ten years in your area, are licensed and insured, and provides references unsolicited with their estimate. Deciding which veneer will best suit your taste for your new or replacement retaining wall can be fun. Some of the synthetic stone options are virtually indistinguishable from authentic stone. There are also caps to consider which could be made from stone, brick or molded concrete.